The Devereux brothers were back in business again this week helping out with St Emilie’s Community Veggie Garden. 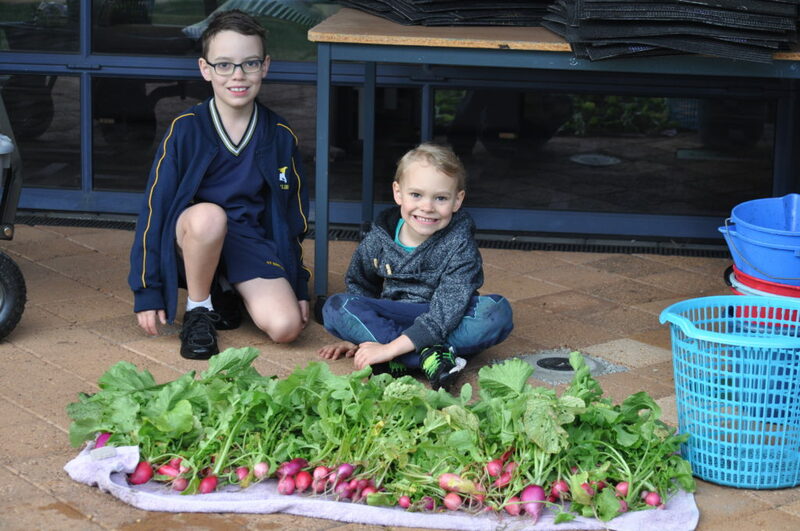 Patrick and Merrick helped harvest ALL the radishes and wow look at that amazing amount of produce! 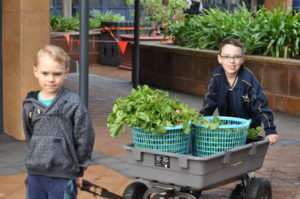 The boys have fun towing the trolley to the hall to sell our veggie produce to visiting parents and guests. 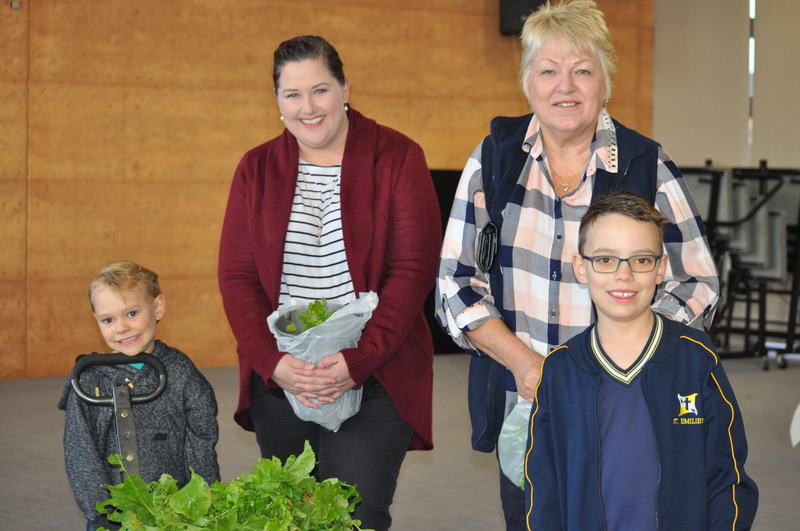 Here are some of our happy customers this morning. 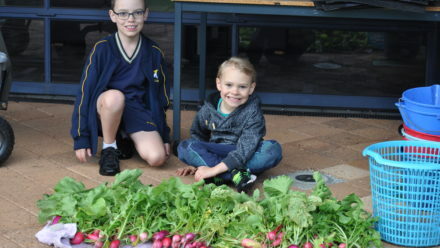 A group of Year 6 students have taken over the veggie accounts. 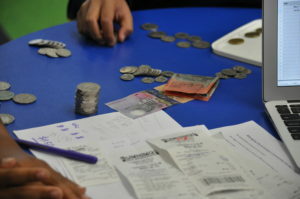 This a wonderful maths problem solving and accounting exercise for the students. Mrs Cogger gives the students the money made from the sale of veggies and then the students work out their own accounting system. As a team they work out the profits and pay out any debts. At present we are in front. 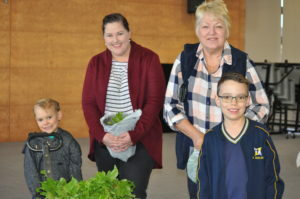 Mrs Cogger is putting together a new veggie garden roster for Term 3. If you would like to volunteer, then please send Mrs Cogger an email.